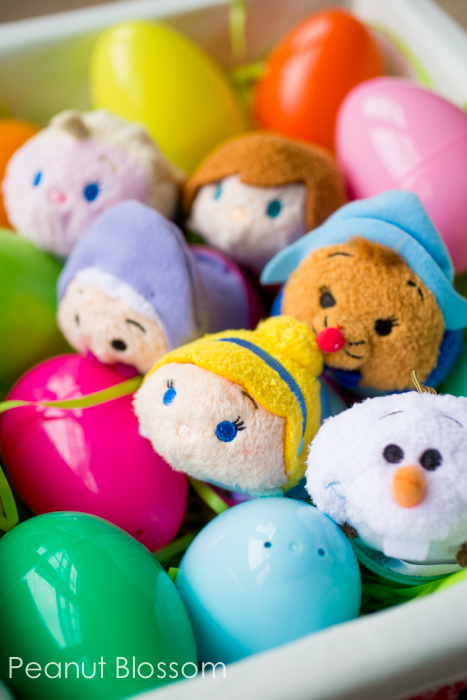 Easter egg hunt ideas that show your #DisneySide! How fun is it to plan little surprises for Easter baskets?? I love sprinkling in sweet springy treats for my ladies and have always looked at their baskets as an opportunity to give them creative little doodads: lighthearted, playful, and have I mentioned SMALL?? 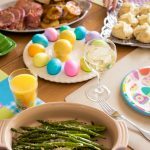 Easter is not about gifts, at least not like Christmas is, which makes planning the surprises less stressful and allows me to be more whimsical. 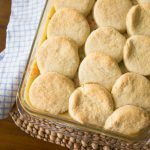 I’m on the lookout for treats that will make my girls giggle and spark their imaginations to distract them from the fact that we put a smaller emphasis on candy! This year I found the most PERFECT idea ever. . .
Download the Tsum Tsum game for your iPad or phone here. Check out the full line of Tsum Tsums here. They are just the right size for hiding inside a plastic Easter egg. What?!? Hold up just a minute!! My jaw seriously dropped with the brilliance of that statement. I immediately had visions of my girls chasing after plastic Easter eggs only to find tiny Elsa, Anna, Cinderlla and her mice, and more friends peeking back out at them. That cast member knew easy pickings when he saw it. He deserves a raise. It turns out that the Tsum Tsums are being released in special collections on the first Tuesday of every month. This month the cast from Frozen & Cinderella can be found in addition to the always-available Fab 5 and a few other favorites. These mini’s are the smallest ones available, but many characters come in medium and large versions and are intended to be stacked like in the game. The trick to having enough for an Easter egg hunt without breaking the bank is to check out the baskets of retired character designs near the check out at the store. They had a mix of Toy Story 3 and 101 Dalmations for $1.99 when I was there. Now if only I could convince my husband that Mommy needs her own egg basket with Disney Pandora charms hidden inside. . . But more seriously, if you wanted to mix things up beyond the Tsum Tsums for your Easter egg hunt, our girls still talk about the year we hid a batch of starter Disney trading pins inside the plastic eggs right before our first visit to Walt Disney World. A lanyard curls up small enough to fit, too! So now I need to know . 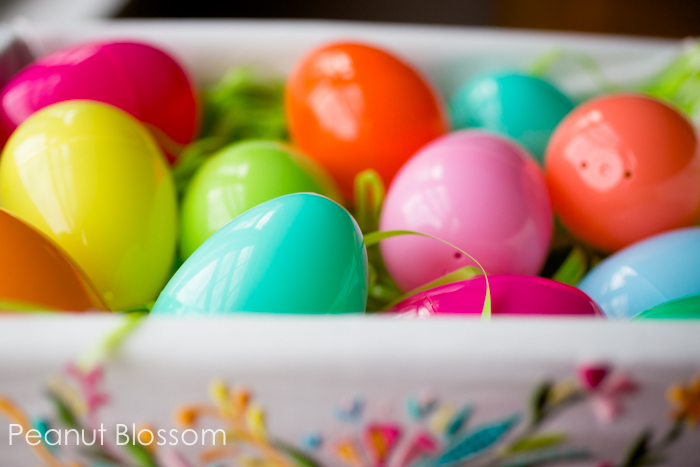 . . does your family hunt for real eggs or plastic ones? These little guys will be tucked into our girls’ baskets when they wake up because our real hunt is for the hard boiled ones the bunny leaves for us. We’ve been married 13 years and Tim still can’t get past that. He cringes Every. Single. Year! LOL! LOVE this idea Tiffany! I hate filling eggs with candy and most small toys are cheap and useless. 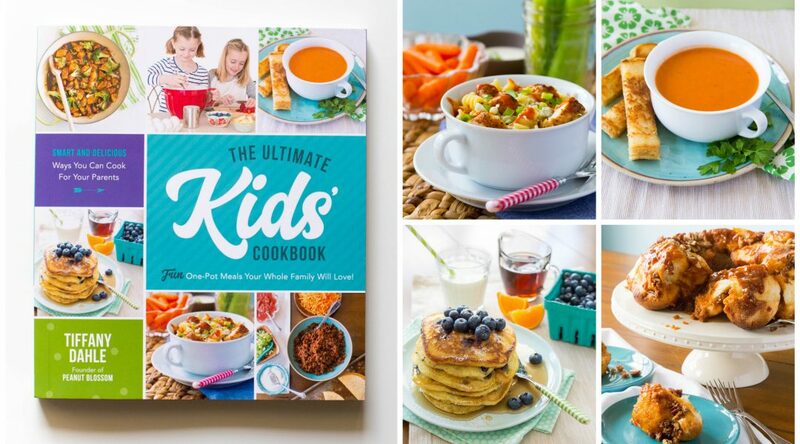 I know my kids would love these! Exactly, Kate! I went through the basket section at Target and most toys there were at least this price or more and nowhere near as awesome. Ooh, my daughter would love these, especially Cinderella and Frozen (and my son would say he’s too old). I’m always looking for non-candy goodies. I DO put quarters in some of our plastic eggs. As in A quarter in an egg. I got tired of buying cheesy stuff that wasn’t cheap. I love the quarters idea, too Jenn! My kids would be thrilled to find real money. I’ve gotta have that adorable red tank top and the cross body bag!! So cute. As is this idea! Another way to save for this on a budget would be to pick up a couple each month, and stash them away until next Easter. I love this idea, so smart! Those little toys are adorable! I’m positive my daughter would love them. Thanks for this wonderful tip! Are the mini’s sold elsewhere? Like at Target? Such a cute idea!